Electricity is all around us. Employees in a wide range of industries encounter electrical dangers on a daily basis, and it only takes one accident to lead to injuries or deaths. Electricity strikes in a variety of ways in workplaces — electrocutions, electric shocks, burns, and falls are all risks that exist wherever electrical currents exist. While electrical safety training is imperative for electricians, they’re not the only types of employees whose safety depends on it. 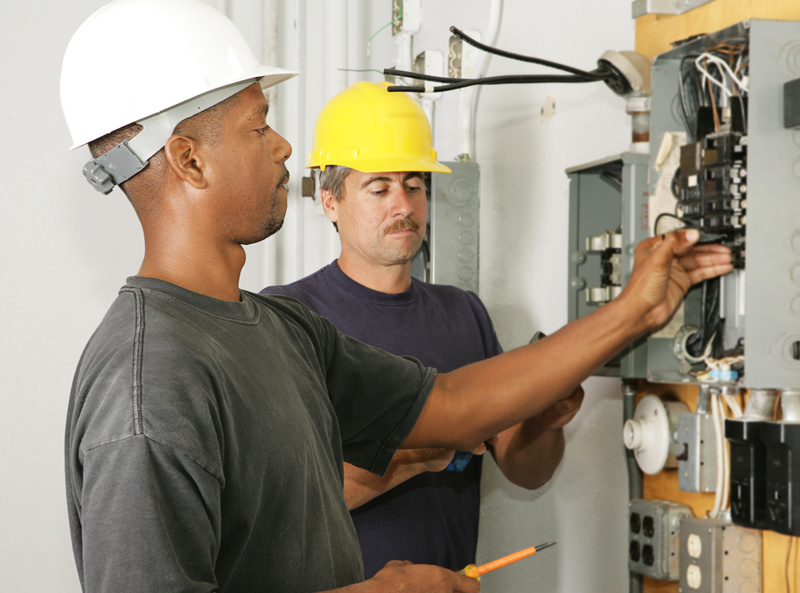 See why electrical training for non-electricians is an essential part of a well-rounded safety strategy. Why Does Electrical Training Matter? There is no such thing as common sense when it comes to electrical safety. Unlike with fire, humans have no instinctual response to avoid sources of electricity. Many sources of electricity emit no sound, heat or visual indications that they pose a danger. In fact, live wires, high-voltage batteries and transformers can blend right into the background. Just look around you and think about all the items that either carry electricity or run on it; risks exist in nearly every workplace. If you are unsure whether an employee needs electrical safety training, it’s better to be safe than sorry. You never know when they will encounter a task at work that involves electricity, and the knowledge they gain from training courses could prevent a costly accident. Following these workplace electrical safety tips will help your employees better understand and approach the risks around them. When you implement a thorough training course at your company, you’re helping your employees develop safe habits they can take with them for the rest of their careers. Taking action with thorough training is well worth the effort in the long run. If your employees face electrical risks on the job, implementing safety training isn’t optional, it’s a requirement. OSHA works together with the National Fire Protection Association (NFPA) to create electrical safety standards that employers must follow. One such standard, 29 CFR 1910.333(a), describes the requirement for employers to institute safety-related work practices that will prevent electrical shocks and injuries resulting from electrical contact. Once an employer understands the risks involved with electricity, it is their responsibility to pass along safety guidance to all workers. Every work safety strategy should involve training for new hires, and online courses provide a convenient format to pass along the knowledge that saves lives. Browse our selection of electrical safety videos to find the resources your team needs to create a safer work environment. You can easily access our on-demand videos anywhere at any time to give your employees the resources they need to stay safe.